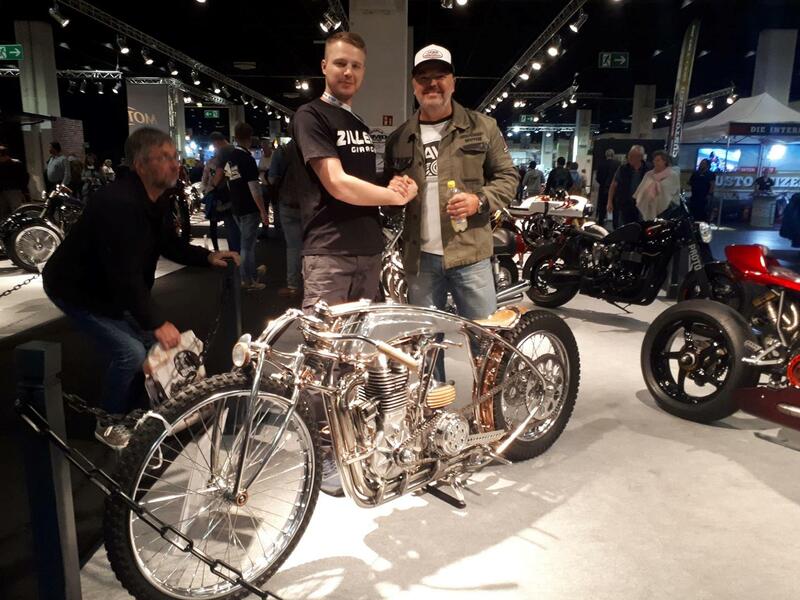 The AMD World Championship of Custom Bike Building 2018 has been won by a Russian builder for the first time. Zillers Garage took the title with their Yamaha SR400 based ‘Insomnia’ entry. UK entrants Paul Milbourn took the Street Performance class win with ‘Titanium V’, an 1100 Moto Guzzi-based design which weighs just 155kg. The contest took place at the Intermot motorcycle expo in Cologne, between October 3-7, 2018 and has been hosted at Intermot since 2014, with 98 bikes from across 30 countries being judged during this year's event. More than 50% of the machines on display have been created specifically for this competition, with the winners announced on the final day of the show. The judging was done by the entrants themselves, plus a few guest judges, making the process of declaring a champion as democratic as possible. "Peer group review is how top scientific research and papers are judged by fellow scientists," says a statement on the AMD website. "We use the same principle for judging custom bikes - who better to pass judgement than those who themselves build custom bikes?" Within the entry list were a number of British entrants. MCN spoke to UK hopefuls Mike Leary and Luke Cormack at the show, who together make up the Bristol Bobbers. "Our bikes are designed to be 'rode and showed' - that's our motto, really. This is our first time here and it's interesting for us that a lot of the other builders have said that it just gets better and better every year," the team said. "We've looked around the bikes here are absolutely amazing. Every builder says that the quality keeps on improving and it is hard for us because there are competitors here that have multi-million-dollar industries behind them. We're working out of a little countryside garage in the south of England, but we're growing. "We love it and we do it for fun and now that we're here, we absolutely love it. We have a good time building them and we've got so many ideas for our next bikes. I can't wait to get back and start working on the next one. Coming here, we feel priviliged really." UK-based Shaw Harley-Davidson were also looking to make an impression in 2018. The 2010 Modified Harley-Davidson World Champions returned with new owners and a fresh desire to win. Shaw H-D were the only UK dealership to have entered, but UK builders and customisers KrazyHorse, Paul Milbourn Customs and the above-mentioned Bristol Bobbers all entered bikes, too. Intermot added the Customize section to their line-up in 2016 and it has grown into what they describe as a show within a show. Placed in Hall 10, it sits away from the main manufacturer stands to offer maximum exposure to the custom and retro scene - with an average of 89% of visitors entering the hall at least once during each day. Find some more standard two-wheeled transport at MCN Bikes for Sale.